There were no signs of investors waiting for a final decision from the Brexit negotiations, as Allsop Commercial reported a 77% success rate at its March auction, selling 81 lots at a total of nearly £53.7 million. 12 of the lots on offer raised over £1 million. The highest value lot sold on the day was a 1.4 acre site in Shoreham-by-Sea. Let to Co-operative Food until 2022 at £260,000 per annum, it sold for £3.85 million, representing a Net Initial Yield of 6.34%. 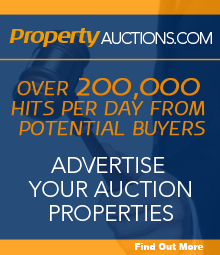 In a busy auction room, there was plenty of competition among potential buyers, particularly for lots with long income or the opportunity to add value. Most encouragingly, a survey of buyers taken at the point of exchange suggested that 95% would be looking to buy again over the coming year. Other notable lots on the day included: a Sainsbury’s Local in Ham, Surrey, with two flats and potential for further development – with current rents of £46,416 per annum, it raised £1.255 million (3.5%); a car park in Newport, Gwent, let to NCP Ltd until 2037 at £101,328 per annum with annual uplifts, sold for £1.9 million (5%); and an office in London NW1 let to The London Business School at £127,500 per annum until 2023 sold for £3.170 million (3.78%). Allsop Commercial’s next auction will take place at The Berkeley, Wilton Place, Knightsbridge, London SW1X 7RL on Monday 20 May.